18-year-old D’ettrick Griffin was shot as he allegedly tried to steal a plainclothes Atlanta Police officer’s unmarked car from the Shell gas station on Whitehall Street. ATLANTA — A family whose son was killed during a police shooting Jan. 15 is filing a $5 million wrongful-death lawsuit against the City of Atlanta. Last month, 18-year-old D’ettrick Griffin was shot as he allegedly tried to steal a plainclothes Atlanta Police officer’s unmarked car from the Shell gas station on Whitehall Street. Griffin managed to drive the car out of the station’s parking lot, but died at the scene after hitting two cars. His family told 11Alive they understand the teen was committing a crime, but say that Griffin didn’t deserve to die. Now, the 18-year-old’s family is filing the lawsuit. “Even though my son did wrong, it was not left up to him (the officer) to execute my son,” Griffin’s mother Gaysha Glover told 11Alive’s La'Tasha Givens. Attorney Jonathan Hibbert, who is representing the family, said that the circumstances surrounding Griffin’s death do not appear to be justified – and has even gone so far as to characterize what happened as outright murder. “Grand theft auto itself does not carry the capital punishment,” he said. Compounding matters is the fact that preliminary information from the Georgia Bureau of Investigation shows Griffin was not armed. “My son did not have a weapon and he was going away from him,” Glover said. “That's a police car, it has a GPS system. It could have easily been found." Hibbert agreed, saying “Just because this officer was upset that somebody may have offended him or jumped in his car - whatever actually occurred - we see no grounds for the officer to have emptied his gun into the body of D’ettrick Griffin,” he said in a previous statement to 11Alive. 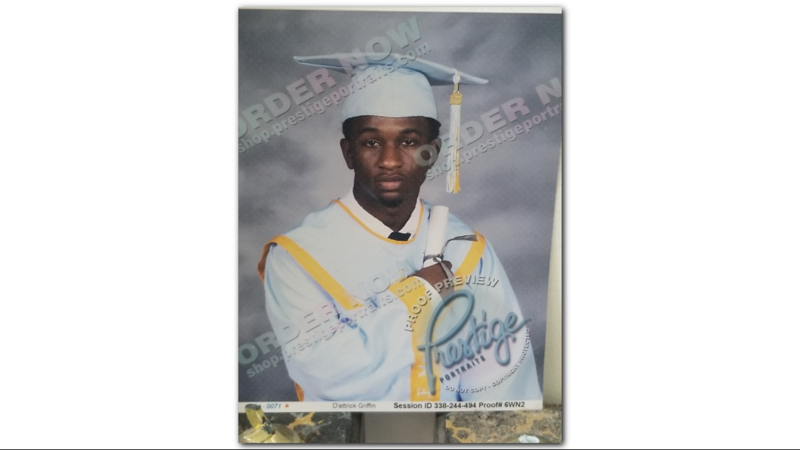 Family told 11Alive Griffin he was just a few months away from graduating from Benjamin E. Mays High School and wanted to become an aviation mechanic. 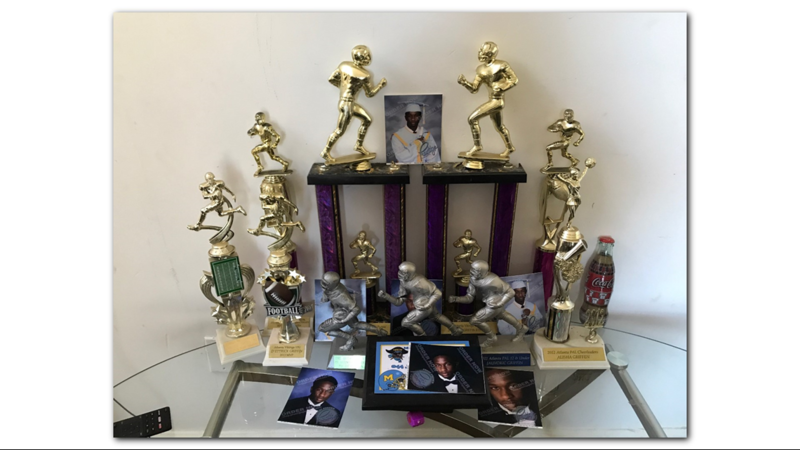 He loved football and was a decorated athlete with the trophies to prove it. He was also well-loved by those he encountered on a daily basis. Video from Griffin’s funeral shows his former principal, Dr. Evelyn Mobley of Westend Academy, giving a tribute to the 18-year-old, where she described him as a leader. “D'ettrick had the heart of every teacher in that building, every administrator in that building,” she said. Meanwhile, Glover said while nothing can bring her son back, she hopes the pending lawsuit will bring some justice and a change in police procedure. Family hopes to reach a settlement. If not, the case will move forward in superior court. 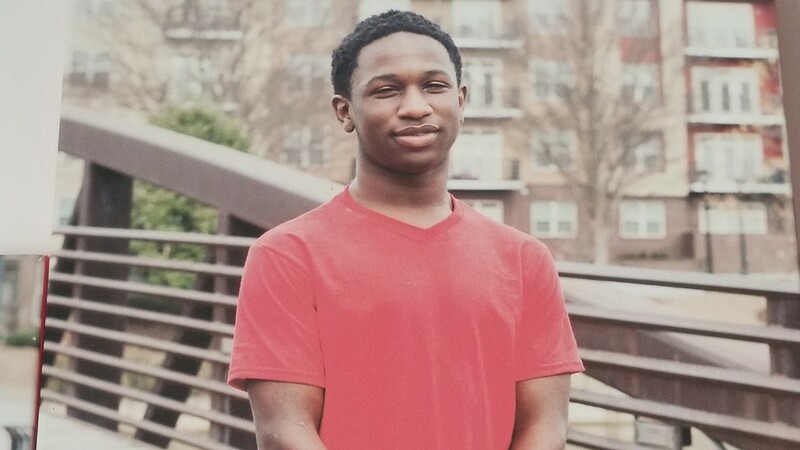 D’ettrick Griffin, 18, was shot and killed by an Atlanta Police officer after attempting to steal his unmarked patrol car, according to the GBI. 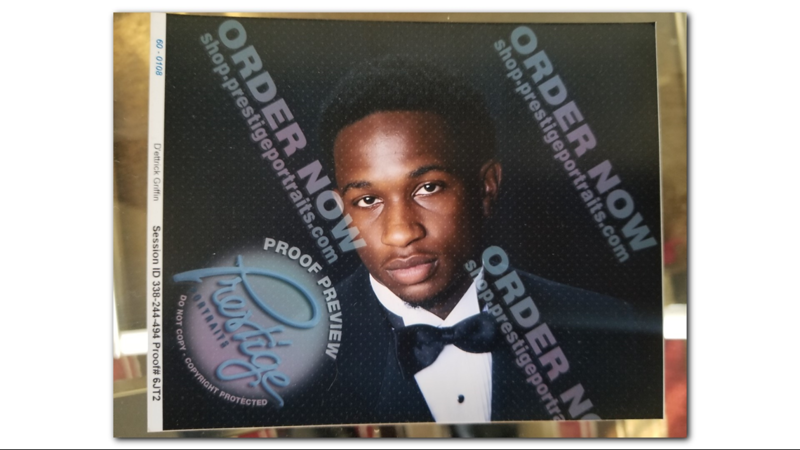 D’ettrick Griffin, 18, was shot and killed by an Atlanta Police officer after allegedly trying to steal his unmarked police car from a gas station. The family of D’ettrick Griffin, an 18-year-old shot and killed by an Atlanta Police officer, proudly display the trophies he earned as a football player.